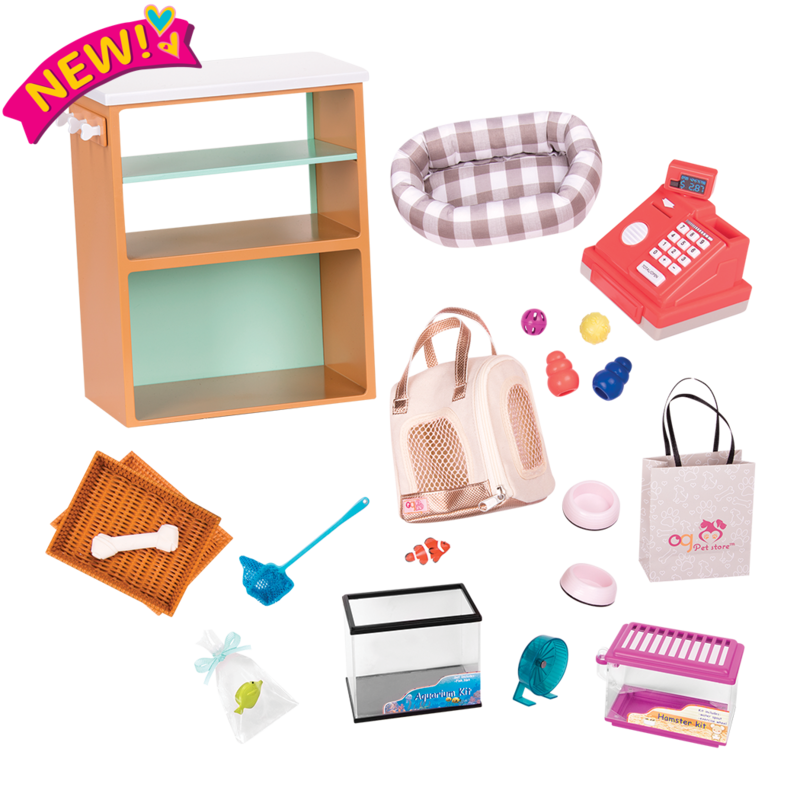 https://s3-ca-central-1.amazonaws.com/media.ogdolls/20180810153336/BD37384_Art-Class-Accessory-Set-Main.png Category: House and Home. Get creative with these art supply accessories for 18-inch dolls! All set to create a masterpiece! 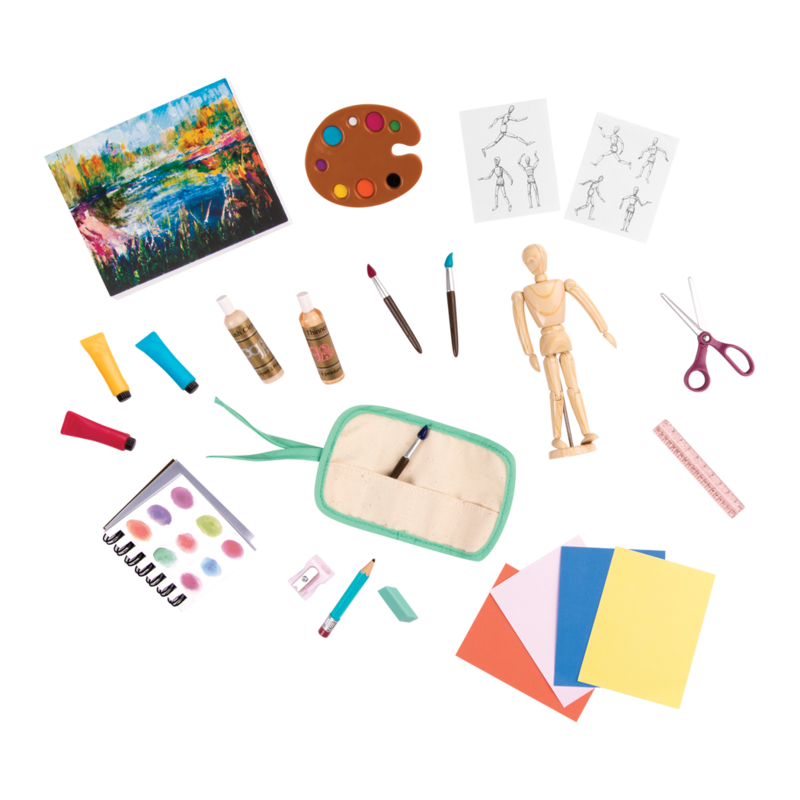 Get ready to create your masterpiece with the Our Generation Art Class Accessory Set for 18-inch dolls! Because we are an extraordinary generation of girls. We’re holding cartwheel contests, making new friends and seeing who can make the silliest face without cracking up. And we’re just getting warmed up. We’re also organizing park cleanups, helping to save endangered species and starting recycling programs at camp. This is our time. This is our story. Fun Art Accessories for 18-inch Dolls! 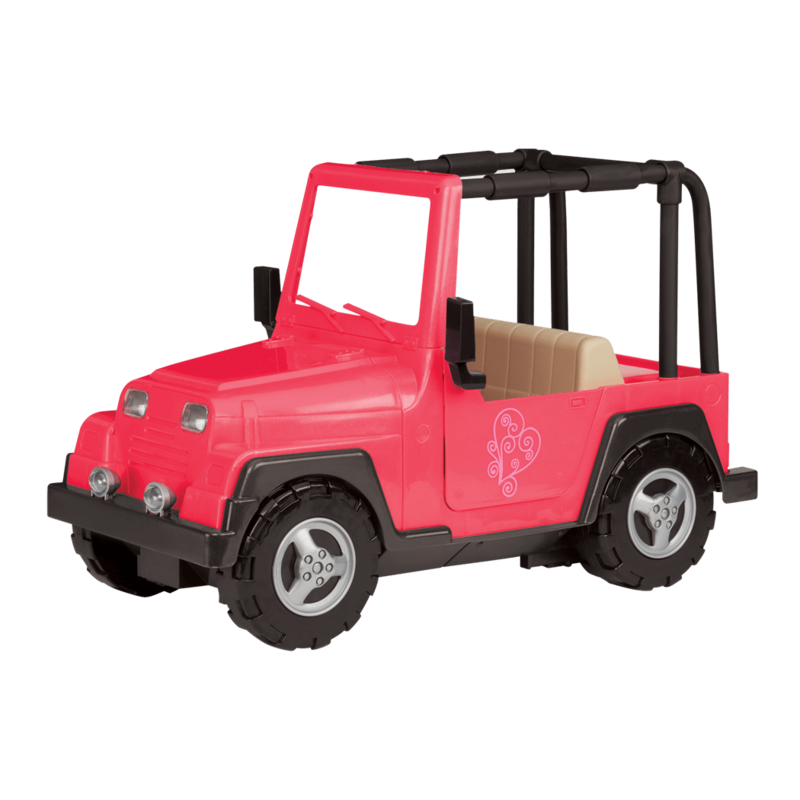 Paint, draw, or sculpt your way to a world of imagination! 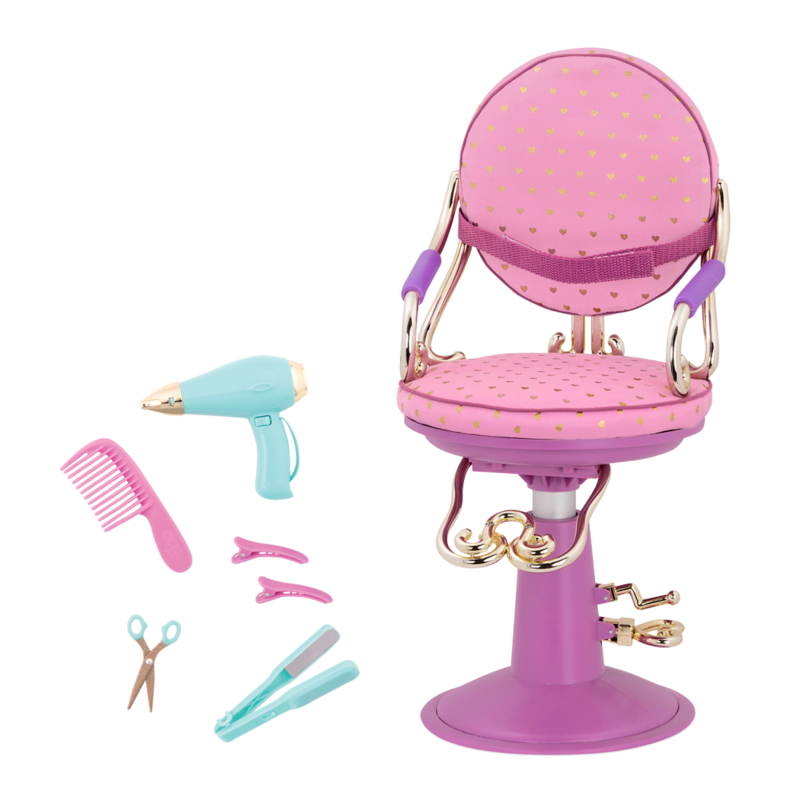 Full of fun miniature art supplies like scissors, pencils, paint bottles, a ruler, and even a tiny pencil sharpener that are just the right size for your dolls, this set will unleash your inspiration! Keep all of the paint brushes and paint organized in the brush caddy, and make your mark in the mini sketchbook. The artist’s paint palette will instantly make you feel like a well-known artist as you practice on the canvas. Speaking of parties, why not throw your favorite dolls a great one? The R.S.B.Me Party Planning Set has everything you need to host a fabulous party for your dolls! 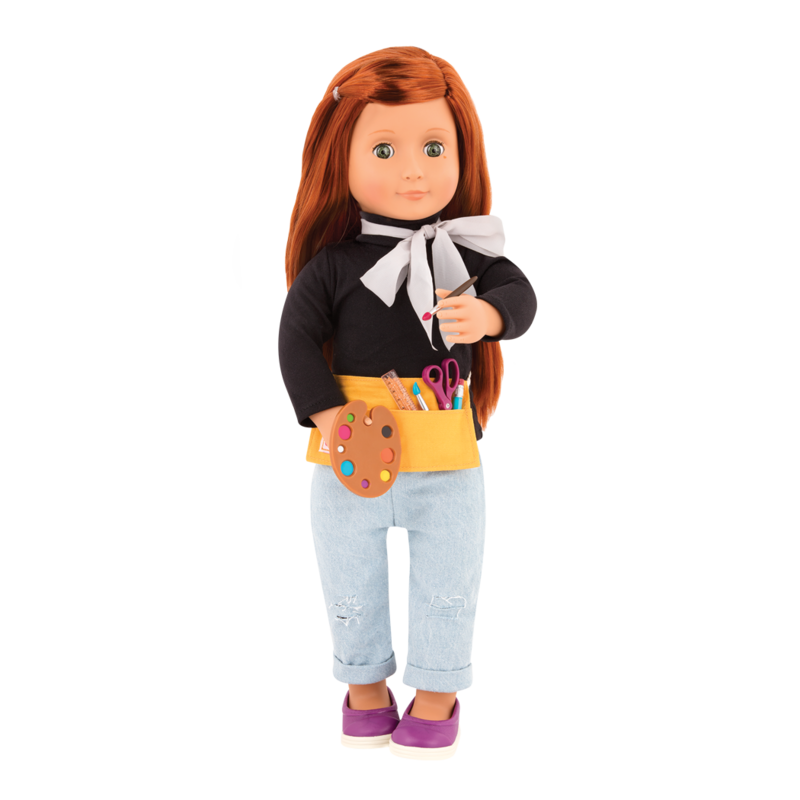 Are you looking for the perfect outfit for your artist dolls to wear in their studio, or to a fun party? Check out the amazing selection of Our Generation outfits and you’ll be sure to find just the right 18-inch doll clothes to help your dolls express themselves! Includes drawing model, brush caddy, papers, paints, brushes, & more! For small messes, try using a clean, damp cloth to gently spot clean the products. First, sponge up as much of the mess as you can, then use warm water to gently rub the area. Let the item air-dry and repeat as needed. I love this set!! It has awesome supplies, and i love painting and arts and crafts! OG, your the best!